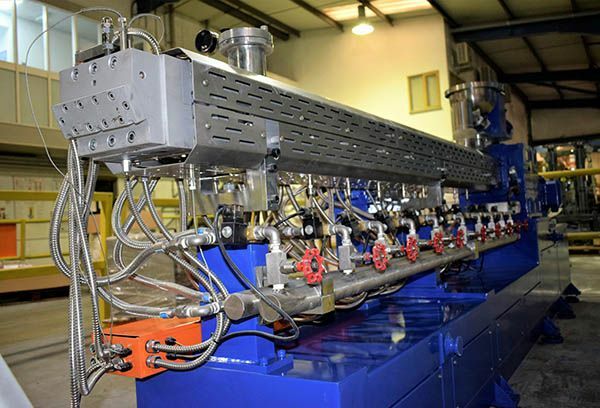 Silvergate Plastics has installed a new twin screw, clamshell design extrusion line at its masterbatch manufacturing facility in Wrexham, North Wales. The colour and additive masterbatch manufacturer continually seeks to explore new production methods and optimise working practices. By installing a technologically advanced clamshell extrusion line, capacity at the facility will increase by 10%. This latest investment is part of the company’s sustainable growth strategy and responds to ever-increasing market demands for faster processing timescales without compromising on quality. The investment coincides with the company’s plans to further its reach across Europe. As such, Silvergate is actively looking for European agents and distributors who can proactively manage opportunities in mainland Europe. From its manufacturing facility, Silvergate produces a complete range of bespoke and multi-component colour, additive, black and white masterbatches. Products are despatched worldwide in record-breaking timescales. Maintaining – and indeed enhancing – Silvergate’s short lead times was intrinsic to the selection process when purchasing the new extruder. The clamshell design was chosen for the many benefits it offers processers but primarily the fact it can be thoroughly cleaned and maintained incredibly quickly between orders, thereby considerably reducing downtime. “Obviously all our lines are comprehensively cleaned between orders now but the clamshell design will significantly reduce the time it takes to do so. This means we can respond to complex orders without hesitation, as this line will be ready to accommodate colour and material changes incredibly quickly.